The new guidelines will seek to ensure that the “evils” revealed in this week’s Cloyne Report will never be repeated, said Frances Fitzgerald. Minister for Children and Youth Affairs, Frances Fitzgerald TD, at the publication of Children First: National Guidance for the Protection and Welfare of Children 2011. NEW GUIDELINES TO protect children from abuse and neglect have been published by the Minister for Children Frances Fitzgerald today. The new guidelines set out specific protocols for frontline public servants, such as gardaí and social workers. Minister Fitzgerald praised the good work done by many frontline staff, who “passionately employ best practice in child protection”; However, she added the state had failed children in a number of cases. “My role as minister is to seek that never again will these evils be countenanced,” she said. The Children First guidelines were published this morning, just a few days after the Cloyne Report became public. The new guidelines will later be supported by an implementation plan from the HSE. 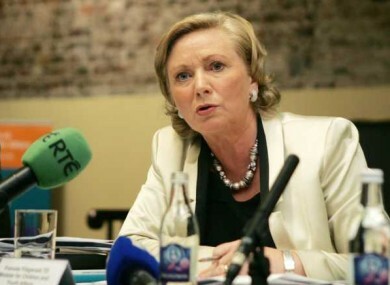 “I want the message to go out that it is absolutely critical that if somebody has, on good faith, reasonable concerns over the abuse or neglect child then those concerns must be reported to the relevant authorities and to this end statutory reporting requirements will be addressed as one aspect of the proposed new Children First legislation,” said Fitzgerald. Email “Minister for Children publishes new child protection guidelines ”. Feedback on “Minister for Children publishes new child protection guidelines ”.